It is pretty weird to write about myself in the third person. So get ready to hear a lot of “I” statements. My Fascination with NLP started with Hypnosis. When I was in 4th grade, I saw a book called ‘Practical Hypnotism’ by Dr Narayan Dutt Shrimali. I collected one rupee a week for 25 weeks and then bought the book. I read it cover to cover a few times and used the Tratak technique quite effectively. I got so good at it that my dad, who was a seasoned Yoga teacher, noticed and wanted to read the book. I could stare at someone’s back for a few seconds and they would turn around. I could make it happen with 10 people at a time within a few months and my concentration skyrocketed. After my dad died, my interest in the subject waned until I came across another book called “Self-Hypnotism – Technique And Its Use In Daily Living” by Leslie M. LeCron. By that time, I had spent a few years in Reiki and a few other modalities of healing. So I continued my quest to learn how to “do” Hypnosis. I attended my first workshop at the age of 17, the youngest kid in the entire room. From there on, I became a seminar junkie hopping from one workshop to another trying to find that elusive magic bullet that will help me become the world’s greatest hypnotist. Until I met my favourite NLP Trainer Owen Fitzpatrick, I drifted in and out of the subject for many years. 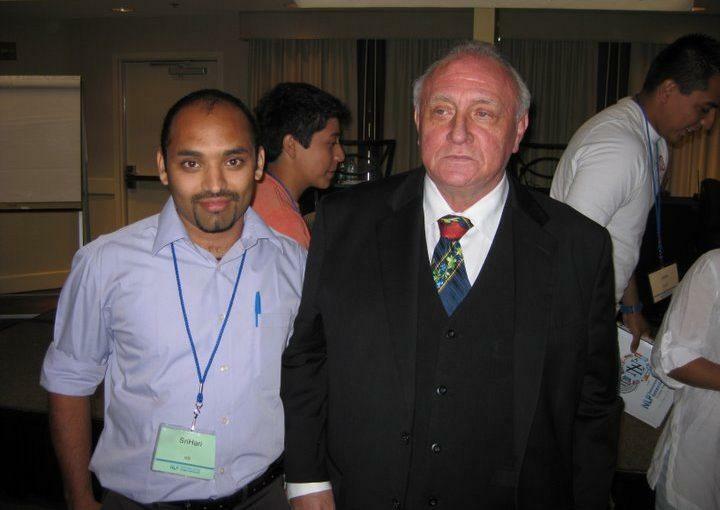 After I attended a few workshops with Owen, I decided to study under the co-developer of NLP, Richard Bandler. In 2012 that dream became my reality. On the first day of my basic practitioner workshop, Dr Bandler worked on me, on stage, on a very difficult issue that I had faced in my past. It was magical. I could not believe how fast and effective it was. Until experiencing it, I had this slight doubt at the back of my mind that maybe NLP is just another ‘believe it till you make it’ kind of scam. That day I changed. I had the good fortune of being worked on by Kathleen La Valle, Elvis Lester, Dr Ron and Eddie Perry, essentially the superstars of the NLP world. That was the best investment I ever made. Ever since that day, I started helping other people in overcoming the fears and phobias, remove self-imposed limitations and move towards a more pleasure-filled life, because we all are worth it!! I have a degree in psychology from Bangalore University. I am trained in Reiki by Dr Paula Horan. I also practice Pranic healing, Thai Yoga Massage and EFT. Apart from NLP and DHE, I also use the Sedona method in my work and I have got some wonderful results. I look forward to meeting you and help you discover the power of your mind to live a happier and more fulfilling life.